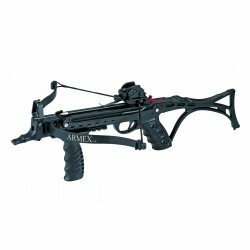 The new Firecat Jaguar 175lb draw crossbow from Armex, the kit includes a tactical foregrip, 2 bolts, rail lube, foot stirrup and front & rear sight. Includes as standard auto safety trigger system as standard. 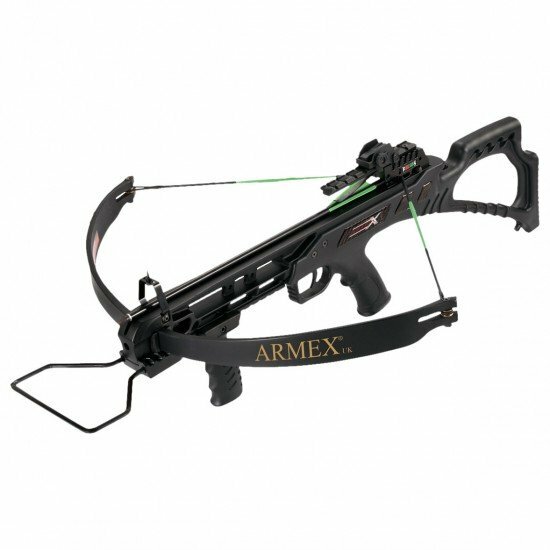 The new 80lb black Tomcat II pistol crossbow from Armex, with tactical foregrip.DRAW WEIGHT (LBS): 80 FEET PER SECOND: 195 LENGTH (IN): 19.5" W..